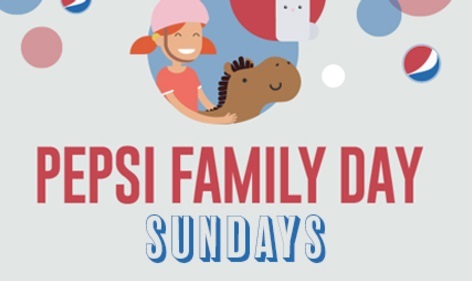 Sunday is Pepsi Family Day at Canterbury Park that includes free family day activities: pony rides, face painting, and petting zoo! First race 12:45 PM. Sunday racing begins May 28. Plus, $5.50 Favorites Basket: Hot Dog, Chips, Pepsi.